“Mona!” says the woman with splashes of blue paint on her nails. “Lisa!” a chorus of little voices respond immediately. Legs crossed, knees bouncing with excitement, a group of energetic eight year olds sit waiting as patiently as they can on a big, colorful rug. It’s time for Ms. Thomas’ art class, and they can’t wait to see what today’s project is. “Ok, who wants to paint?” she asks. 25 tiny hands shoot up into the air, and little voices start shouting. It’s a busy Tuesday afternoon at Truesdell Elementary in NW Washington, DC. These eager kids are just a few of the 600 elementary students who pass through Ms. Thomas’ art class each week. The big room feels a little bare since there’s not a lot of student art on the walls yet. That’s because it’s the beginning of the year, she promises, and it will soon be filled with colorful drawings, sculptures, and other masterpieces. But bare walls and few supplies was almost the reality for Truesdell kids last year. In 2016, the Title 1 school’s underfunded art department lost their full time teacher. Ms. Thomas came to the rescue, fighting keep the art program running. 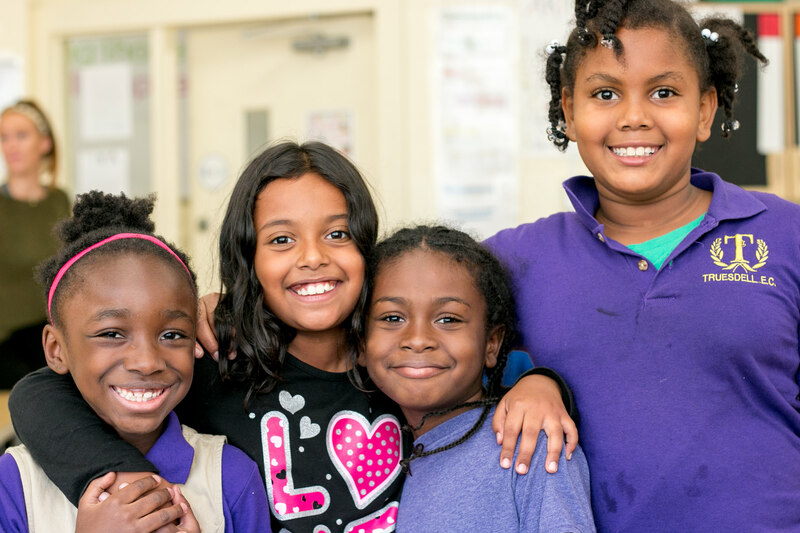 After-school clubs, innovative art projects, and integrated curriculum helped keep the program in motion, but politics still affect her classroom. With large class sizes and decreased funding, keeping the art room stocked and busy all year is a challenge. It’s one Ms. Thomas is ready to take on. WDG has operated our annual GiveBack DC initiative for five years, donating over $500,000 in products and services for deserving local organizations in need. This year, we decided to adopt a quarterly mini-initiative. Our Design intern, Zachary, suggested we help support artistic and creative passion for kids by donating art supplies. “As a graphic designer, I felt that art is an undervalued subject for kids and even the smallest investment in art can go a long way,” he explains. We agreed, and when we heard about Truesdell, our team knew we could help. Zachary began by creating a landing page for our website that linked directly to an Amazon Wish List created by 2nd grade teacher Ms. Delgato. The items were arranged by number and importance, creating an easy, single-click process for donors. We implemented an omni-channel marketing campaign with analytics to garner donations from individuals and corporations, having all supplies sent to WDG’s HQ office. At the end of the initiative in August, we gathered all of the donated supplies and delivered them to Truesdell. We were lucky enough to visit and see those donations in action just a few weeks later. Watching the excitement around the room as 25 pairs of little hands eagerly dove into donated watercolor palettes and buckets of brushes, it was easy to see why supplies like these make a huge difference in a child’s life. As they splashed colors on the page painting Fall leaves, the creativity and joy the kids were experiencing was evident. When asked why he likes art class, Macaih explained, “I like to do art because it’s free for me. Like in math, it’s a struggle and you have to solve problems. I like to blend the two together.” Macaih is right. 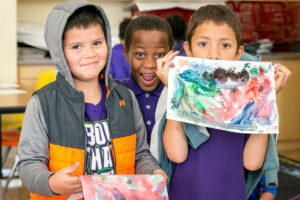 The integration of arts with core curriculum has been repeatedly proven to improve student academic, emotional, behavioral, and social skills. 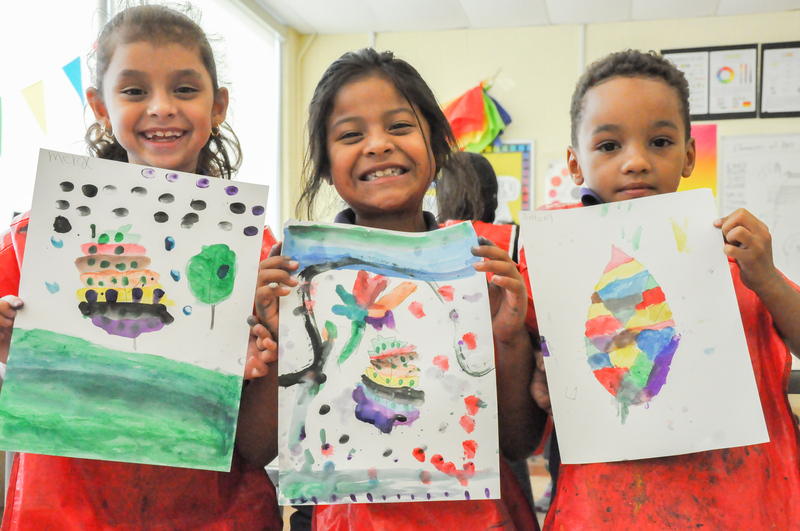 In fact, students who regularly participate in art have a four times greater chance to be recognized for academic achievement. Today, the students are not only learning about warm and cool colors, as well as blending, but are receiving a mini-science lesson about caterpillars and leaves. Despite the plethora of research supporting the importance of art education, funding for the arts has decreased significantly. 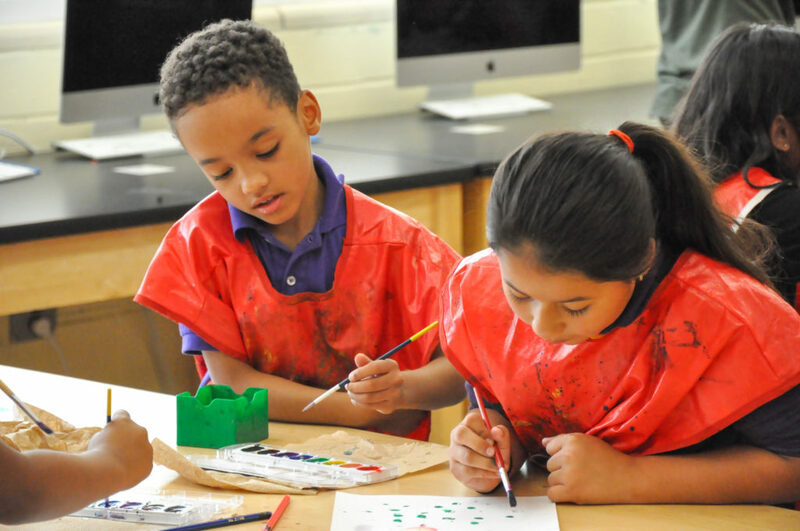 The struggle to keep the arts in place is especially challenging in urban schools. 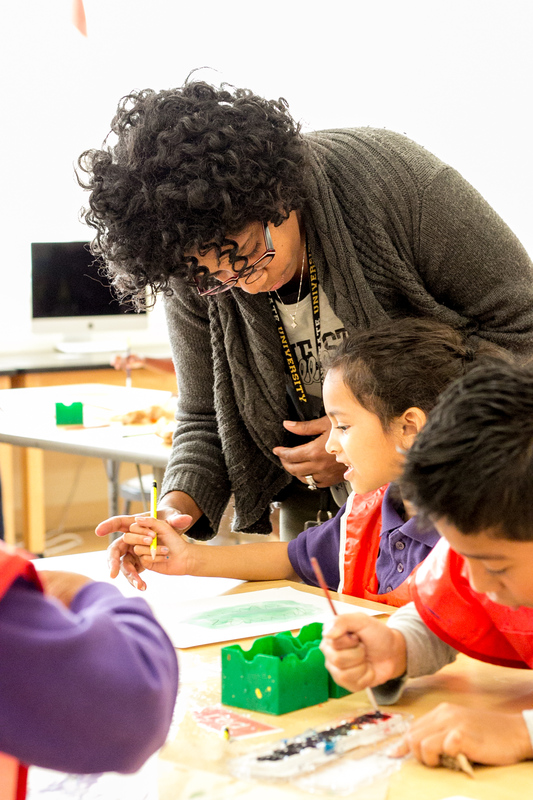 There is 50% less art education currently provided for underserved students than 25 years ago, according to a recent report from the National Endowment for the Arts. At Truesdell, the 6th grade art program has been cut completely. 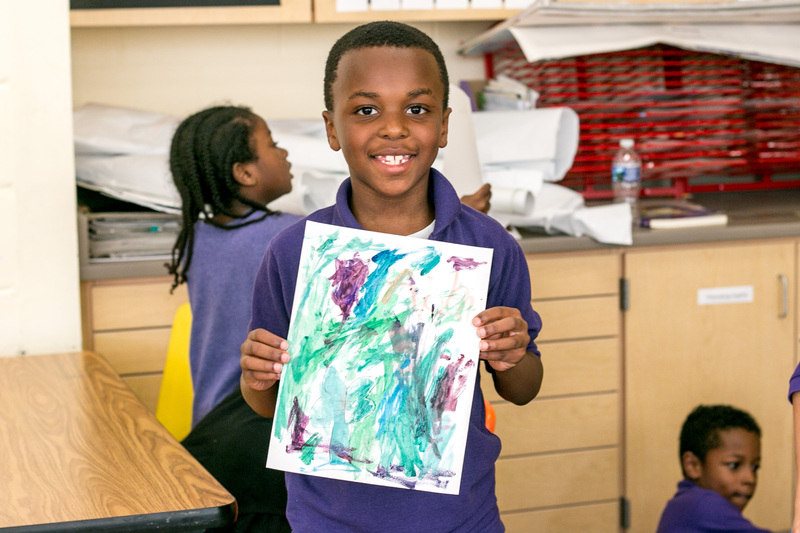 Supporting the value of art education instead can directly impact students’ lives for the better. For example, there is a three times greater chance for at-risk students with art education to earn a Bachelor’s degree than their peers. 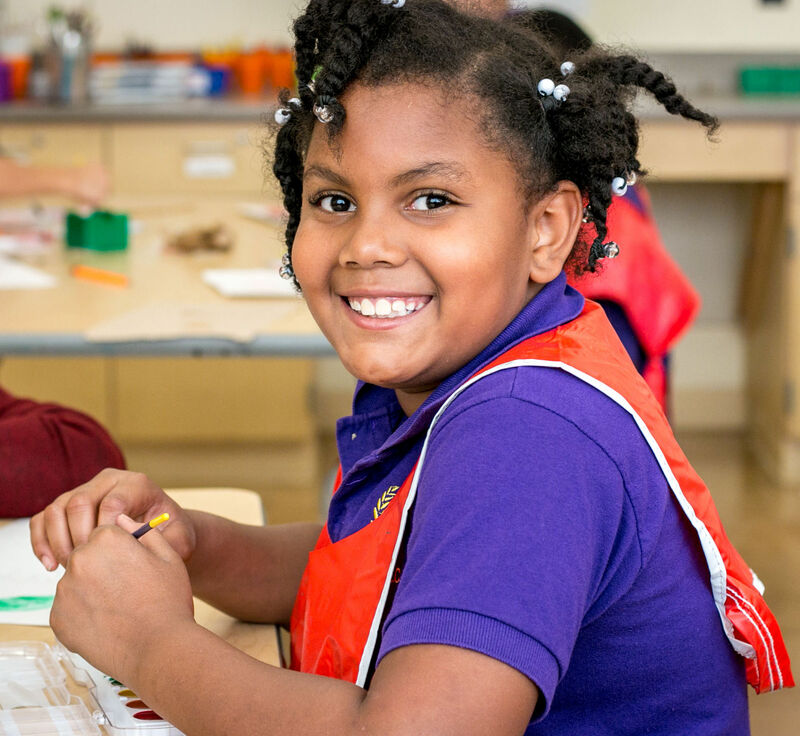 Art is also a key puzzle piece in helping a child achieve a well balanced education. Aeseyah was painting leaves eagerly and drawing her family having a celebration; she explained to the kids at her table it was her family celebrating Eid, saying excitedly, “I like to color pictures for my mom on Eid and she puts them on the fridge!” Seline, a bilingual student, chimed in, “We like to draw pictures for my mom for Christmas. We call it Navidad though!” By sharing cultures and traditions through art, these students are creating valuable social and emotional connections with each other. We are immensely grateful for the fantastic donations from all of our amazing donors. There are now mountains of colored pencils, paint brushes, crayons, markers, paints, canvases, and so much more for the students to enjoy. Most importantly, the kids at Truesdell are excited and ready to benefit from your kindness throughout the school year. 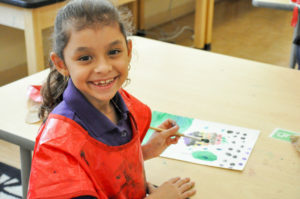 As Lolissa told us, “I love painting because painting is my best thing ever! 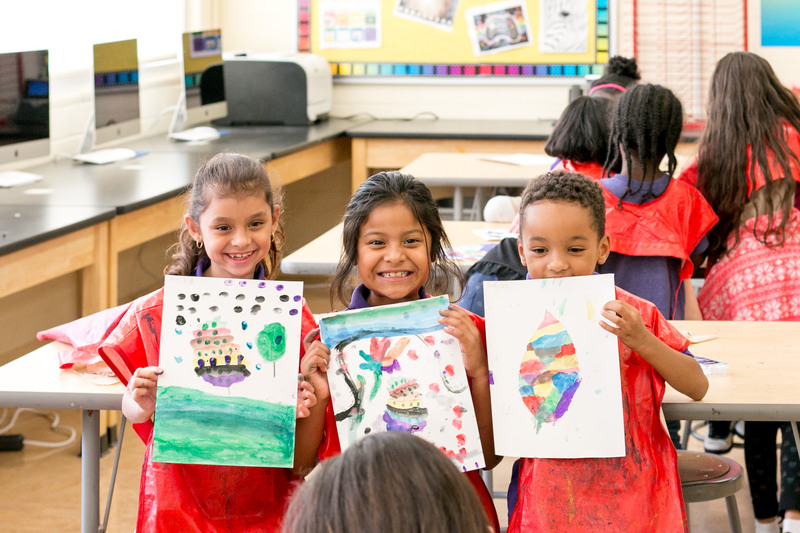 We agree, and we’re proud to support art education for all in our #giveart initiative. Do you have an idea for GiveBack DC or want to get involved? Email us at [email protected] for more info!